Blog / Love versatility in your décor, but no time for a major redo! Are you in the mood to remodel, but don’t have time nor the budget for a major redo! Well, paint is your Solution. It seems that 2018 is the year to be bold! According to Benjamin Moore’s color of the year (bit.ly/Paint2018), Red is it! 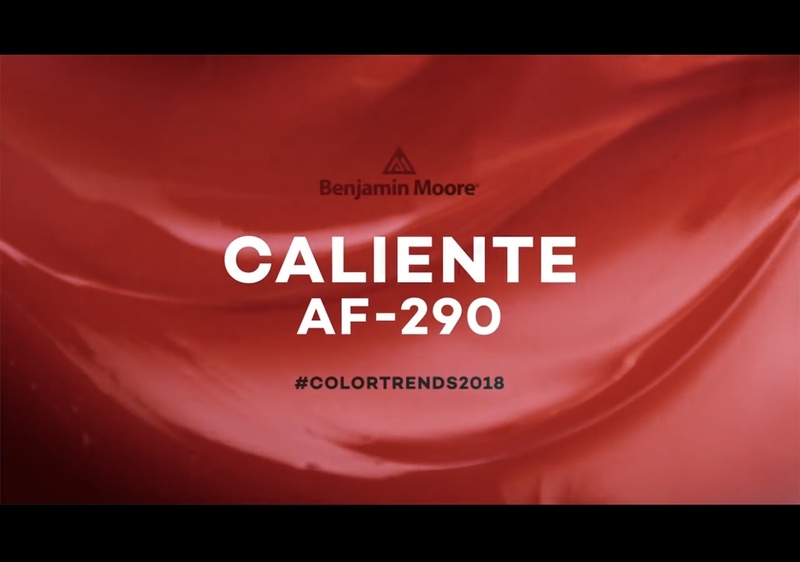 You might be talking to yourself by now, wondering what your friends would say if one day they showed up unannounced after you’d already painted one of your dining room walls Red; not just any red, but CALIENTE AF-290 Red. A possible reactionary scenario, one can foresee, would be a sigh of amazement and a topic of conversation for all the while they’re there. It’s not the end of the world you know; painting is simply another form to express one’s self desire for a seasonal change. So, snap out of it, take charge, be daring, and create a warm and loving atmosphere in your own home; one that you would love to come to after a long day at work. With that said, a great way to implement ones new style is with nothing other than paint. In fact, paint is one of the most cost effective ways to change the mood without breaking the bank. It’s also a project that could be done by oneself, for oneself, and over the weekend. Of course, keep in mind that timing varies positively with the complexity of the task at hand (the more complex; the more time). Besides choosing an accent wall to express your new you using this trendy color, it’s important to maintain a smooth flow throughout the place. On one hand, the latter can be easily accomplished by using different shades in different rooms selected from a palette of colors suggested by Benjamin Moore’s designers. On the other hand, whether you favor art deco, super-modern, classic, or antiques, mix them all together and Voila! You’ve got yourself an eclectic style. All you have to do is select accessories in red color and its many shades that are reflective of different time periods and place them strategically in different rooms of your house. It’s that simple to add a touch of sophistication and elegance to your personal space. Keep in mind that beauty is in simplicity, so splash color with moderation and enjoy the new look!